Penang is where the best Black Thorn comes from – there are some in Pahang and other places (all states in Malaysia) but nothing beats the original from Penang. It can be quite expensive though, around RM 50/kg average, that’s something like USD 13/kg and these fruits are often 3 kg or so. For durian fans though, it’s all worth the price. I hope you manage to get your hands on one someday. Oh My God! You are driving me nuts with these durians! Look at the beautiful sunset yellow colours and I almost could smell them from my keyboard! Why are you not inviting me to eat with you? I have yet to try this yummy “Black Thorn” and cannot wait to sink my teeth. I didn’t expect to find a Black Thorn too, especially not from this stall. I was actually planning to eat Teka from another stall but they ran out so I came to this one to look at what they have. It’s the first time I’ve been here, can’t recommend them, I’ve had better Black Thorns elsewhere. I’m not sure where they get their Black Thorn from though – a lot of the Black Thorn here is from Pahang. The Penang ones are the real deal and tastes *a lot* better. However, it’s hard to get Penang Black Thorns here due to the existing local demand and price – it sells for average RM 40-60 in Penang. 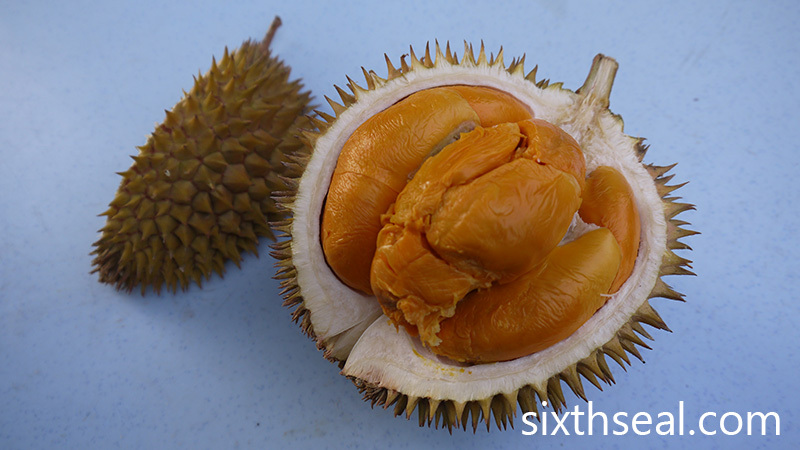 two weeks break … i mean..
Durian season almost over, enjoy while you can. They’re selling for up to RM 60 per kg in Penang so I always wonder how a stall in KL can afford to sell it for RM 35 per kg. I doubt those are Penang Black Thorns though – you usually have to book in advance and pay premium prices for Penang Black Thorn, which suggests an existing local demand that exceeds supply, so it has to be quite expensive if it comes down here. Gsohhhhh!!! I’m lost. So many hybrids. 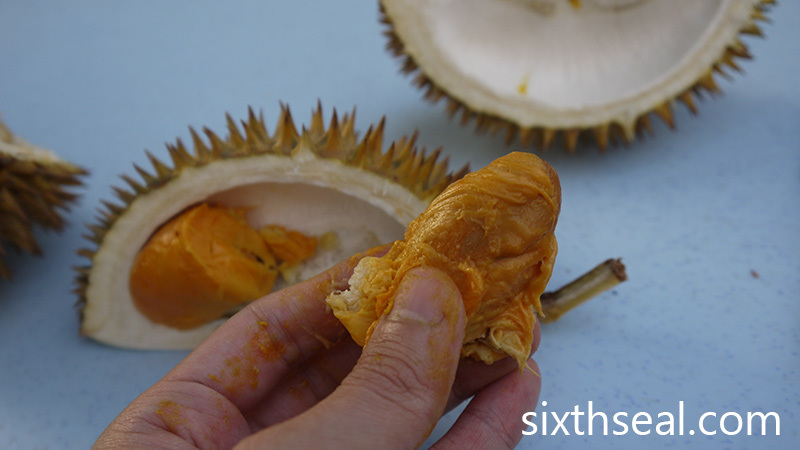 Gone are the days when eating durians was so simple. 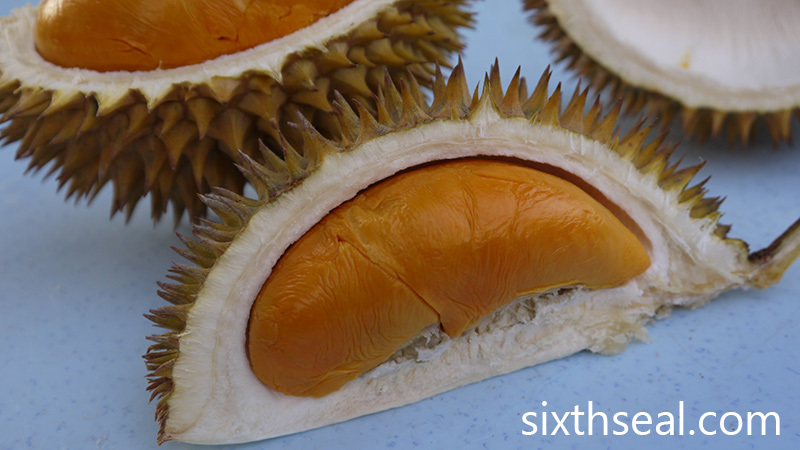 Or at least, that’s what the prices indicate – it certainly is the most expensive durian in Malaysia. Red Prawn and Musang King is cheaper than this. 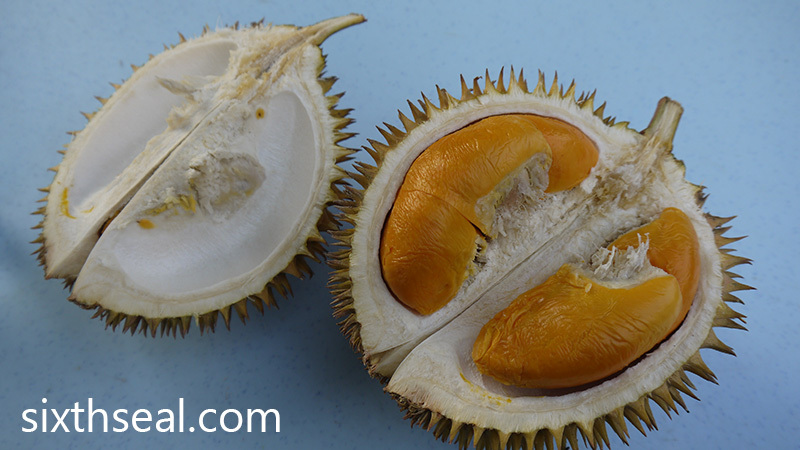 Penang durians are most expensive in general though, at least for the famous cultivars. I don’t know why that is, the market there is different, a lot of people willing to pay high prices. Yeah, they call it Durian Duri Hitam in BM. It’s coz of the black tips you can see at the end of each spike in the fruit. I like Musang King but it’s a little overrated IMHO. Sure, it is good, but sometimes you also want to eat a more fibrous durian like D2 or D160/Teka/Green Bamboo for a change. 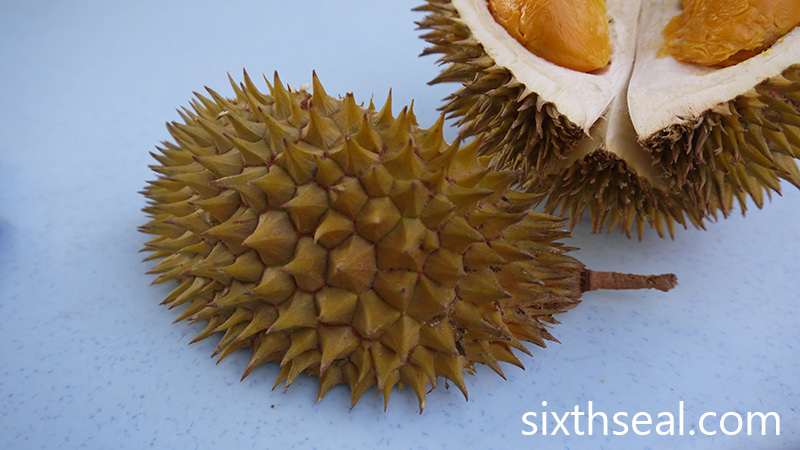 I like all kinds of durians. Haha.